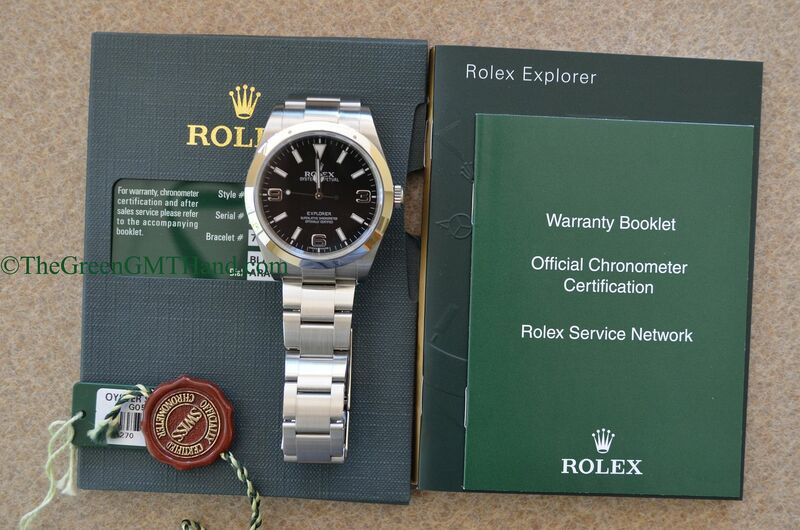 We sold this mint condition G serial Rolex Explorer to one of our best clients. 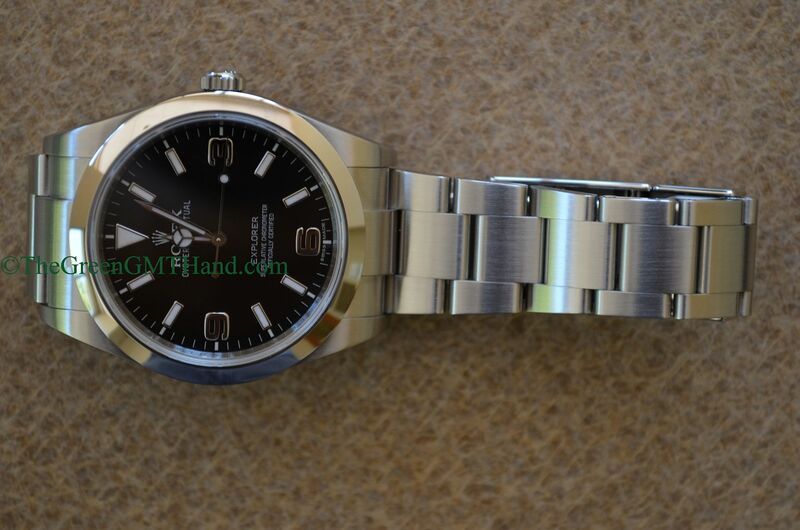 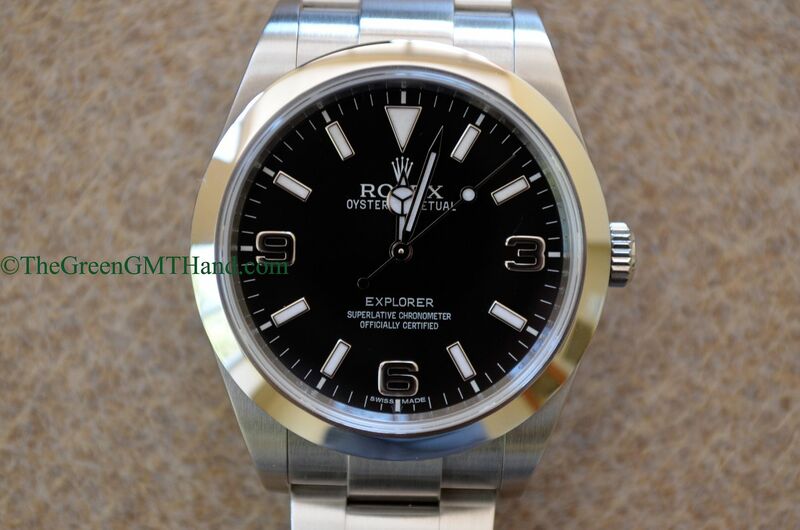 This G serial Rolex 214270 Explorer is 39mm in diameter, and replaces the discontinued 36mm Rolex 114270 Explorer. 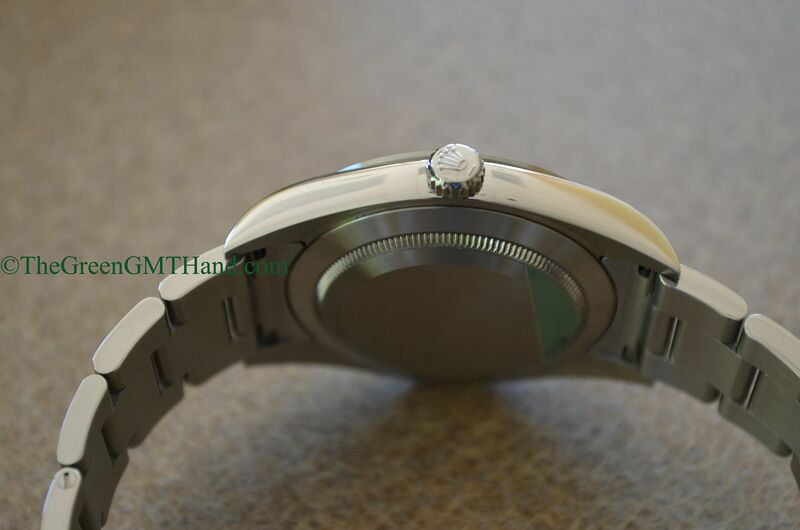 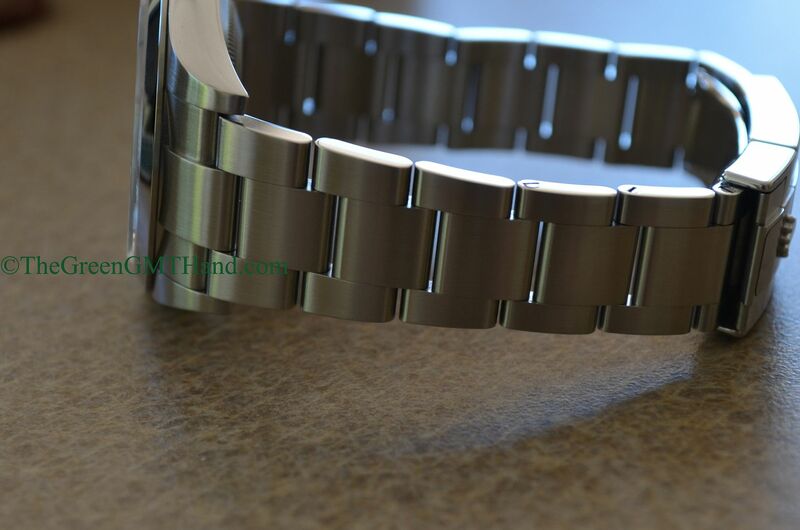 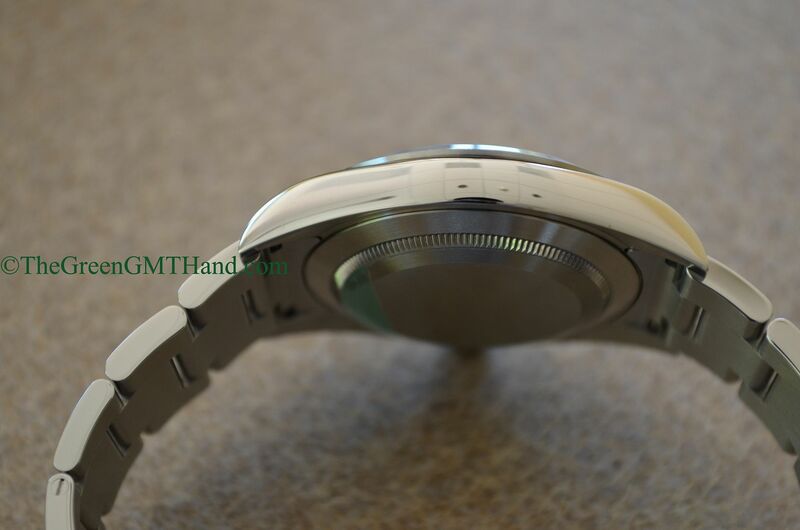 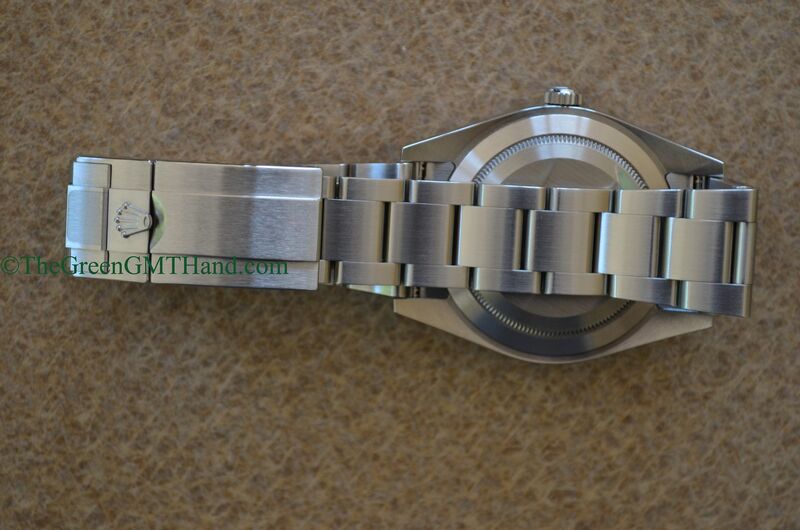 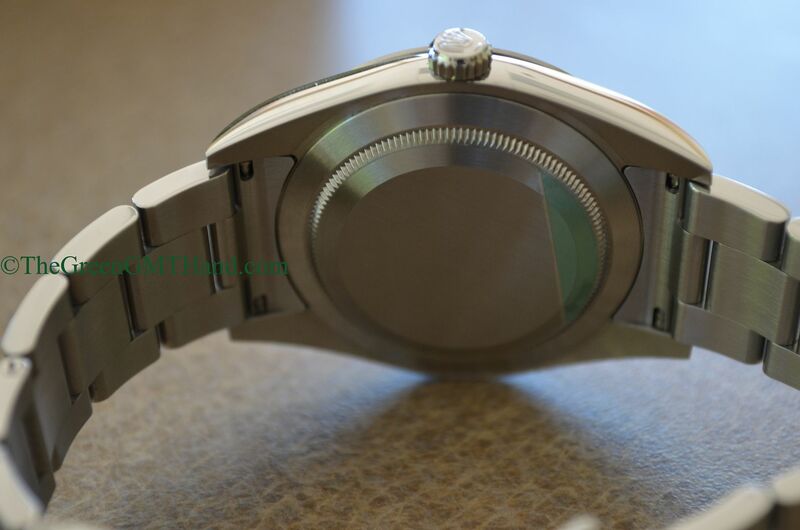 It features an upgraded 77200 bracelet with solid middle links and new easy link extension clasp, resulting in a much heavier bracelet and overall heftier wrist presence. 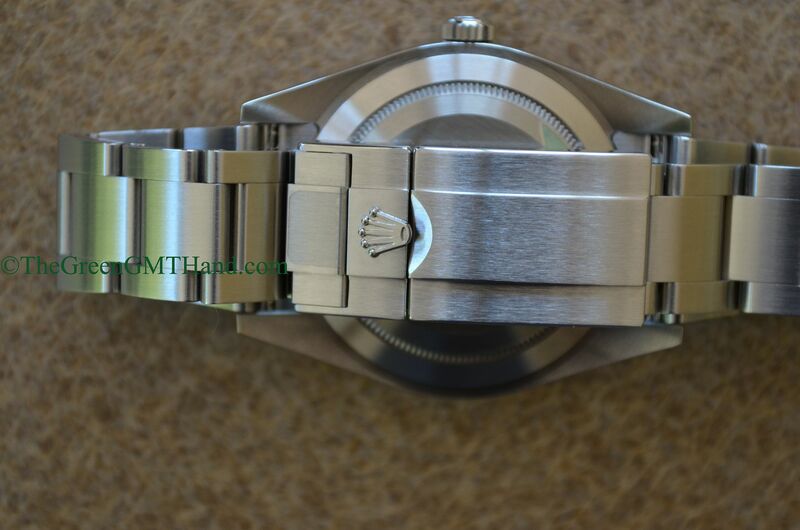 The 3132 new movement has the Rolex patented blue parachrom hairspring, Breguet overcoil, and the new Rolex paraflex shock absorbers. 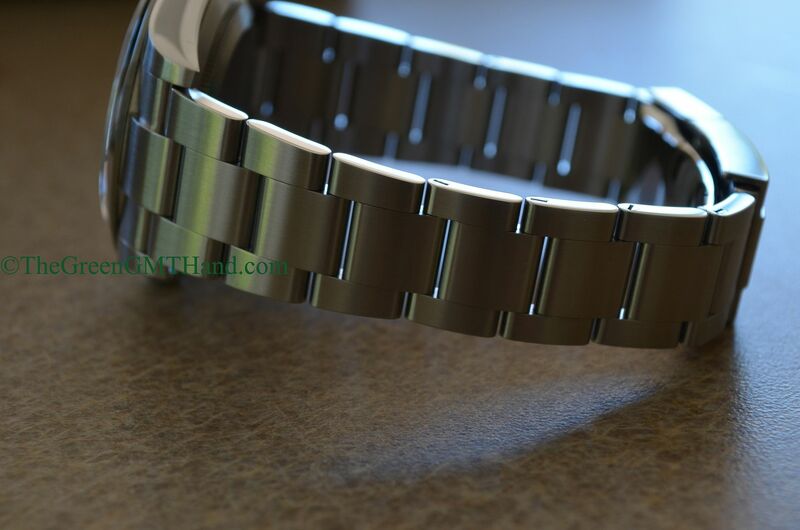 Lume is now blue chromalight, allowing for a longer and brighter night lume (3, 6, and 9 markers do not glow). 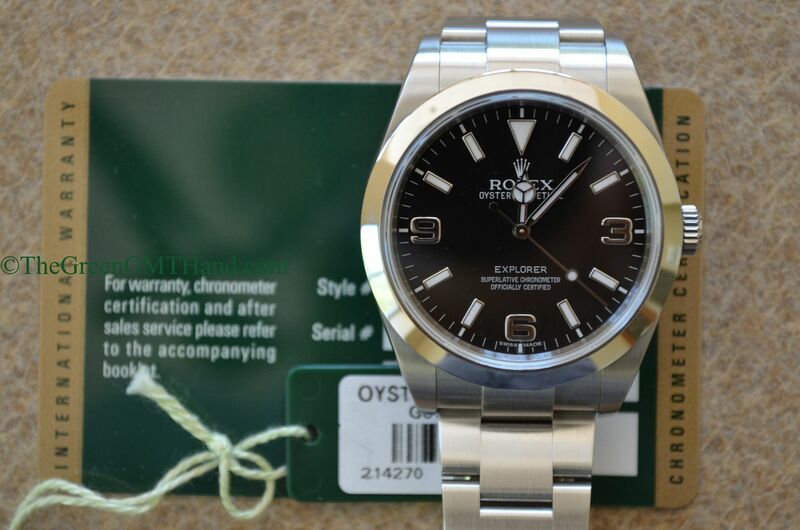 This Explorer has come a long way from the climb to the summit of Mount Everest. 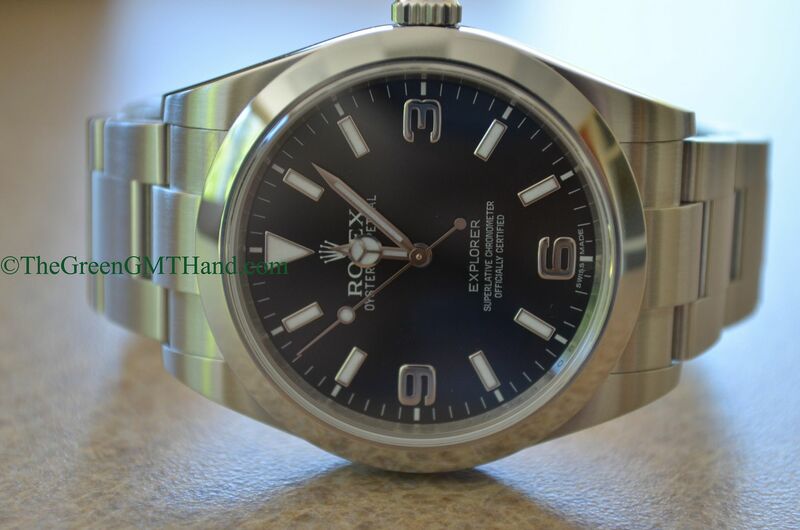 Yet the Rolex 214270 Explorer stays true to its roots, highlighted by the unmistakeable 3, 6, and 9 markers. 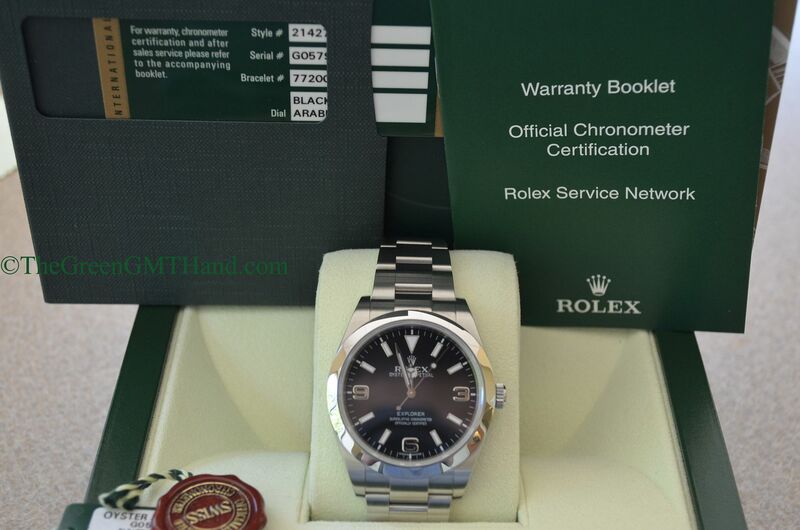 SOLD and delivered with original Rolex boxes, green serial number tag, red chronometer tag, warranty card, and all original manuals. 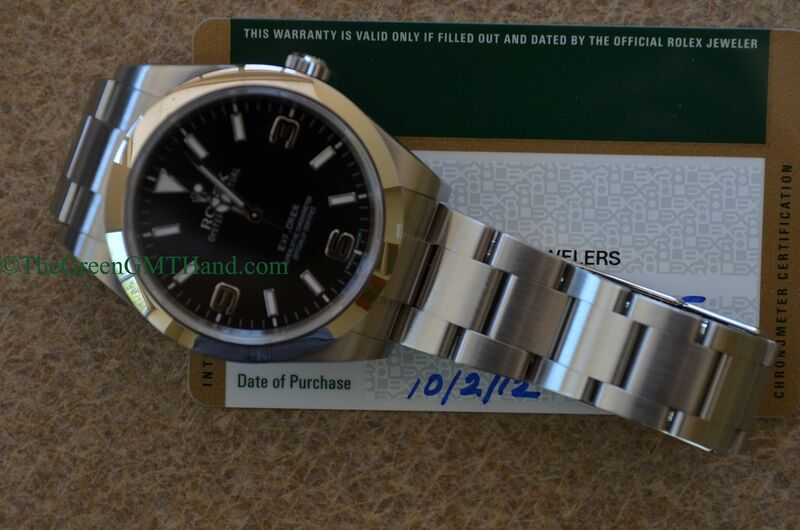 Over 20 months of original Rolex international warranty remained at time of delivery to our buyer.